Organizations run on information, and for many, information is their most valuable asset. Keeping information secure in a highly connected and highly mobile world has become a top priority. Encryption of information is commonly cited as a proactive defensive measure. 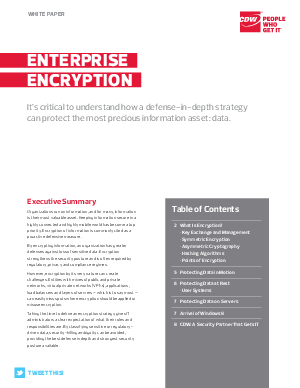 By encrypting information, an organization has greater defenses against loss of sensitive data. Encryption strengthens the security posture and is often required by regulatory, privacy and compliance regimes.